Form not displaying correctly in Chrome and IE. I also have another problem. I can see the form well on Firefox but it excede the page in Crome and Explorer. Any suggestion? Are you referring to this form: http://www.jotformeu.com/form/43363856538364? and also when you say "but it excede the page" are you referring to the width of your form? 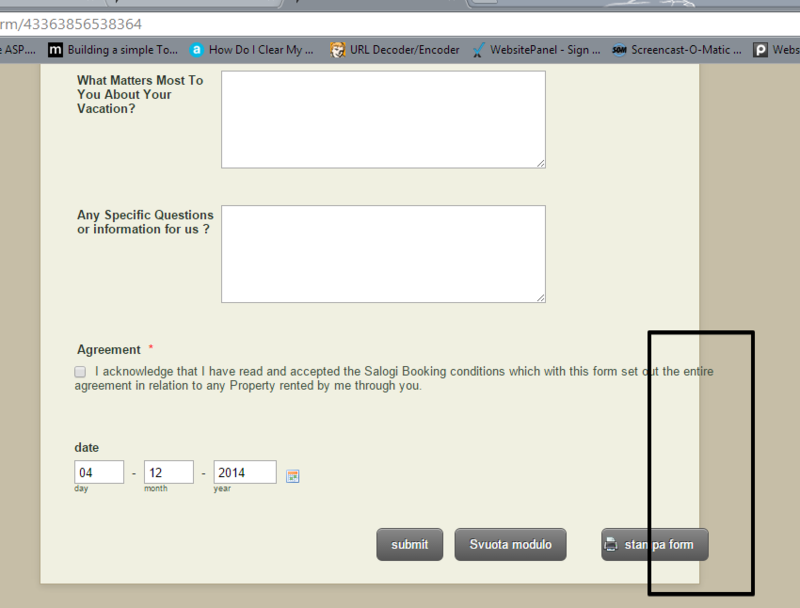 If this is correct, please right-click on the Submit button and then click on the Shrink option. You can see the resulting form here: http://form.jotformpro.com/form/43373922636964, please check it out and let us know if it works for you. If it does, feel free to clone it to your account.